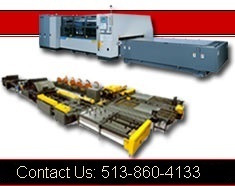 CINCINNATI Precision Machinery Inc. is a full service supplier of sheet metal fabrication machinery, sheet metal machinery parts and tooling for all of your sheet metal equipment . Serving Ohio, Kentucky, Indiana, West Virginia, Western Pennsylvania, Illinois, Kansas, Missouri, Nebraska, Iowa and Michigan for all of your sheet metal fabricating needs from lasers to hand tools.We carry an extensive product line offering a wide variety of sheet metal fabricating alternatives, and represent manufacturers with reputations for the highest product quality and service reliability. We can offer you a combination of 60 plus years experience to recommend the right machines for your business. 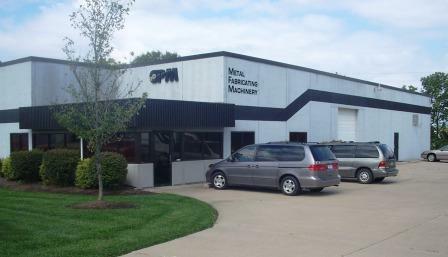 Here at CINCINNATI Precision Machinery we also keep a large inventory of new and used quality sheet metal equipment in our stock. Make sure you take a look at our Used Machinery page of our site. From the North take 75 South, get off on the Union Center Exit and go West(Right). First street at light is Mulhauser Rd. Take Mulhauser (left) to Princeton-Glendale Road (RTE 747) Turn Right Follow North to either Ashley Drive or Sutton Place-Turn Left and follow till you get to 9083 Sutton Place. From the south take 75 north, get off on the union center exit and go west(Left). First street at light is mulhauser rd. 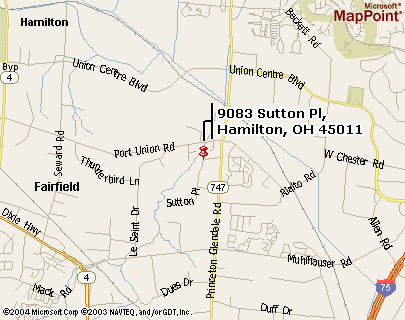 take mulhauser (left) to princeton-Glendale road (RTE 747) turn right follow north to either ashley drive or sutton place-Turn left and follow till you get to 9083 sutton place.